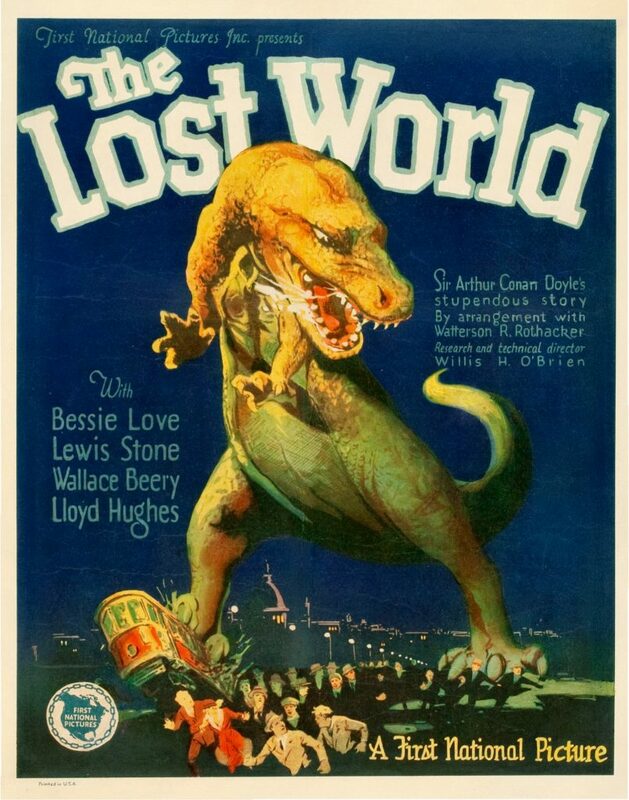 The Lost World is a 1925 American silent fantasy monster adventure film adapted from Arthur Conan Doyle’s 1912 novel of the same name. The film was produced by First National Pictures, a major Hollywood studio at the time, and stars Wallace Beery as Professor Challenger. It was directed by Harry O. Hoyt and featured pioneering stop motion special effects by Willis O’Brien, a forerunner of his work on the original King Kong. Doyle, who also created Sherlock Holmes, appears in a frontispiece to the film, absent from some extant prints. In 1998, The Lost World was deemed “culturally, historically or aesthetically significant” by the Library of Congress and selected for preservation in the United States National Film Registry. Because of its age the film is in the public domain, and can be legally downloaded online.